Sanjay Somprakash Gupta from Nagpur, B.Sc Graduate. Working for : Last Organisation KSK Energy Ventures Ltd. Currently working as Sr. Manager HR at Last Organisation KSK Energy Ventures Ltd.
HRBP HR MANAGER PMS & HR MANAGEMENT KRA DESIGNING JOB DESCRIPTION & EV.. TRAINING NEED IDENTI.. HR POLICIES/PROCESS .. TALENT MANAGEMENT. 2..
are one of expert skill area's of Sanjay Somprakash Gupta . 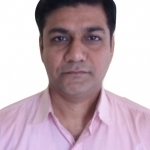 Sanjay Somprakash Gupta is working in Human Resources industry.